The Hong Kong Bus Handbook is a special edition of the Bus Handbook series to record the fleets of Hong Kong in the year the Colony is handed back to China. For years the buses operated in Hong Kong have been of particular interest to the British bus enthusiast. The operators included in this special edition cover those who provide franchised stage and express services in the British colony of Hong Kong together with those companies operating large numbers of British manufactured buses. Tram fleets are also included. The fleets reflect the situation at the start of 1997, the year of transition to Chinese rule. 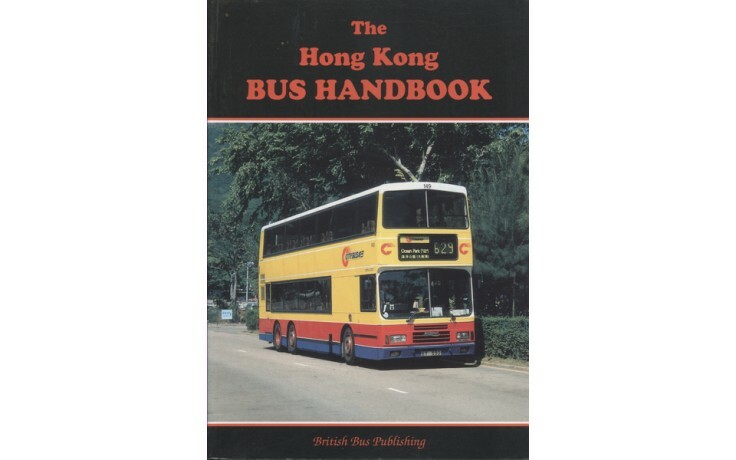 The first Hong Kong Bus Handbook was produced after Steve Sanderson and Bill Potter met with the operators to compile and check the fleet information. Published in February 1997 it now provides an interesting comparison with the current fleet. Well illustrated a must for enthusiasts interested in this former colony.